Sylvester Patrick “Silver” Quilty began his football career at Renfrew High School. At Ottawa College, now the University of Ottawa, Quilty was an outside wing helping the team to Yates Cup vicotry in 1907. In 1908, he was the first man to play the “flying Wing” position. He was the prime ball carrier and also the team’s kicker in 1908 and 1909. After one year with the Rough Riders, he attended McGill University. 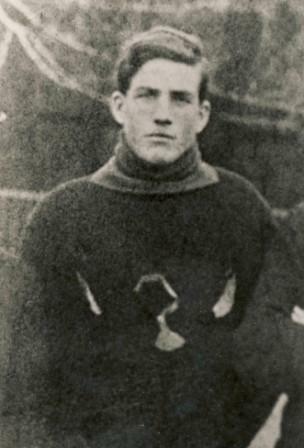 In the 1914 championship game against University of Toronto, Quilty scored two touchdowns, the second one after carrying the ball on seven consecutive downs. Following his playing career, Silver officiated and coached football. S.P. Quilty is a member of the Ottawa Sports Hall of Fame and Canada’s Sports Hall of Fame.